I think this is an Osamu Kitajima album that I have grown to like. Released in 1984 after such innovative early albums as Benzaiten (1976) and Masterless Samurai (1980), The Source has the beginnings of what would later be considered the ‘sound’ of Osamu in such refined masterpieces as Behind the Light (1992) and Over the Brink (2014). It’s hard to describe what that sound is, but it is most evident (and accessible) in those two albums, which I strongly recommend. 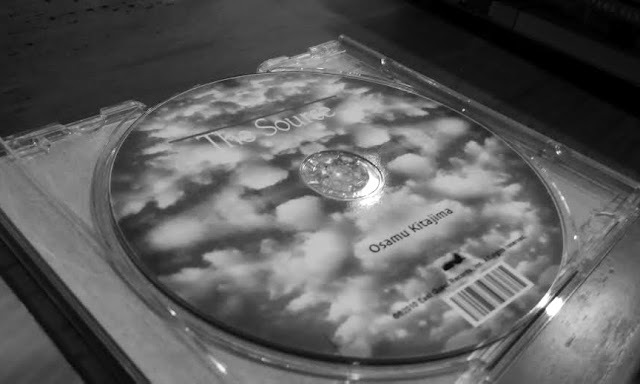 One of the longest tracks ever recorded that is not a live concert piece, ‘Heavensent’ is also regarded as one of the greatest works of the new age genre, somewhat akin to the ‘Seven Samurai’ of samurai pictures. It starts off with a heavenly harp prelude that eases us into the main melody – an astonishing arrangement of acoustic guitar, guzheng, violin, synthesizers and percussion. 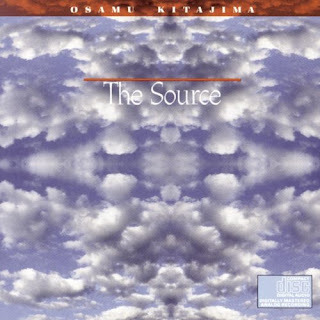 In true Osamu style, the melody repeats through various instruments, with structural breaks of solo harp, percussion, guzheng or acoustic piano. The third track ‘Eye to I’ is more Chinese-music sounding, but has interludes of orientalized jazz. It is in my opinion the weakest track of the lot, but has enough to warrant repeated listening. My favourite is “Through Cosmic Doors”, a piece with an addictive beat set by the Japanese koto. It is brilliantly augmented by a groovy synthesized bass, and layered with percussion with breaks of shakuhachi. If you are an Osamu Kitajima fan, The Source is a must-have.